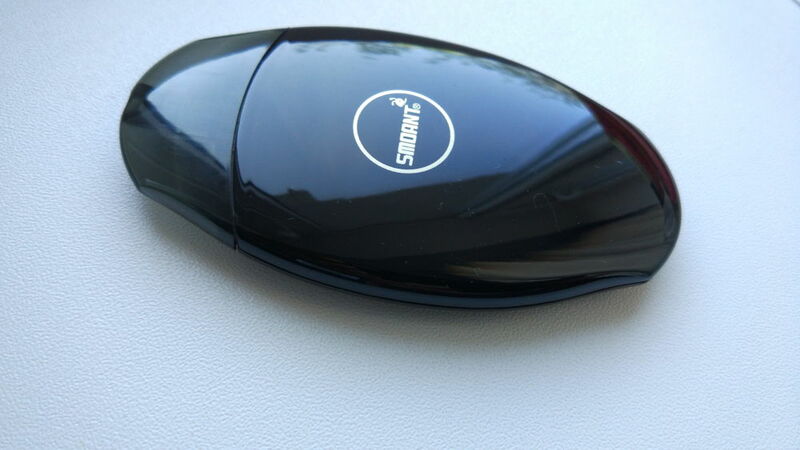 Last year, when I did the review of the Suorin Air, I had no idea that pod systems would become so popular so fast. 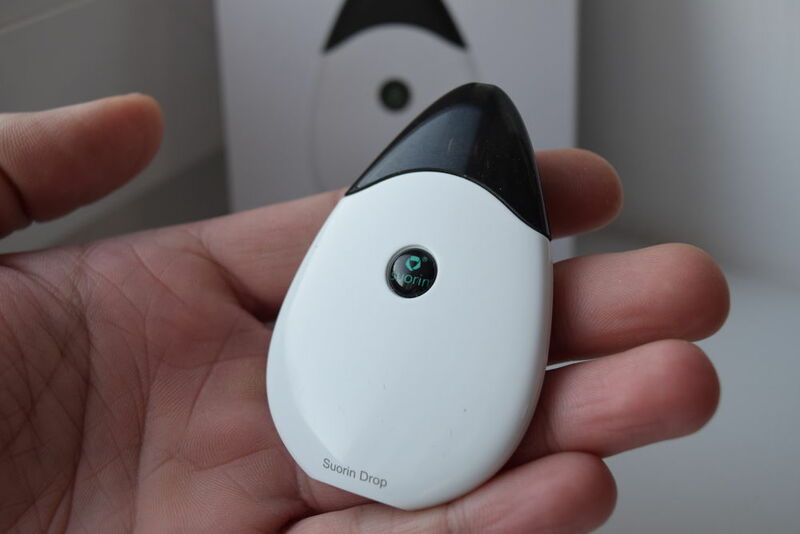 Nowadays, virtually every company in the vaping industry has their own pod vaping device, not to mention the totally new ones that only offer this sort of pod systems. They’re all the rage right now, so I guess there’s nothing else to do than get on board. 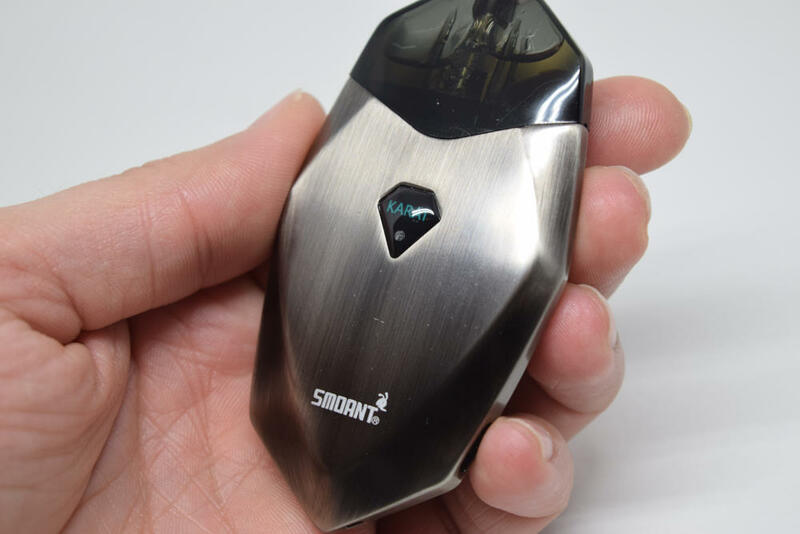 Today we’re taking a look at the Smoant S8 pod starter, one of the nicest looking pod systems available, and also one of the most interesting. The Smoant S8 comes in a stylish, black cardboard box, with the Smoant logo and an image of the SP pod system on the front, and a list of contents, a scratch-and-check authenticity seal and company information on the back. Inside the box, we have the S8 pod system placed in a Styrofoam holder, and next to it, a smaller box containing a very short micro-USB cable for charging and a plastic, refillable needle bottle, for refilling the pods. We also have a bunch of instruction and warning cards included in the box, which I suggest you read before using the S8 for the first time. The USB stick-like design of the JUUL seems to be really popular among manufacturers, but Smoant decided to go with something new and fresh, something that would help their device stand out from the massive competition. Some people compare its shape to that of a clam shell, while others say it looks more like a slick face powder kit. Smoant says its shape was inspired by iconic sport cars like Ferrari LaFerrari or the Lamborghini Reventon, and describes it as “the supercar of the vape world”. I say it’s a thin oval with slightly elongated ends, if that makes any sense. That doesn’t sound very impressive, but the simple and streamlined design of the Smoant S8 really is very elegant. I’m not exactly an expert when it comes to pod system design, but in my limited experience, the S8 is definitely one of the best looking – if not the best looking – pod vaporizers on the market. 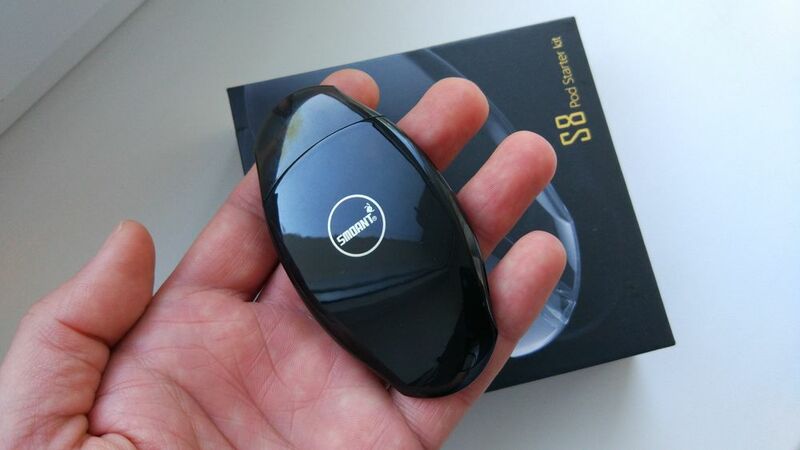 The S8 pod system is 86.6mm long, 48mm wide at its widest point, and only 12mm thick, which makes it one of the thinnest vaping devices available right now, along with one of its greatest rivals, the Suorin Air. 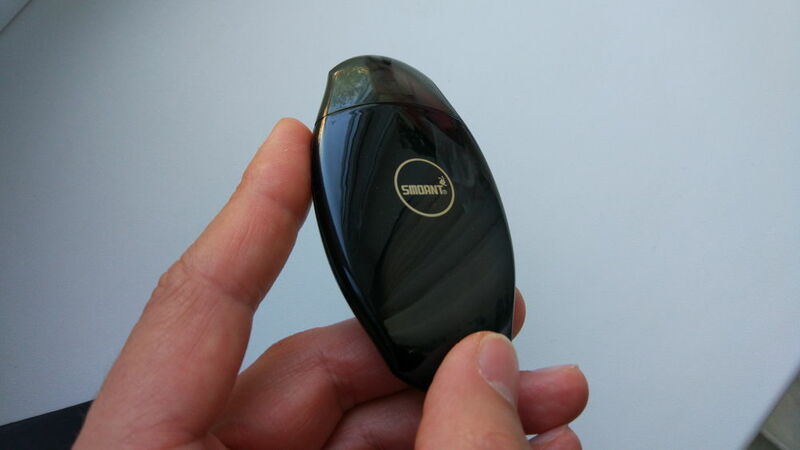 However, the Smoant pod system has a bit more weight to it, which gives it a quality feel in the hand. 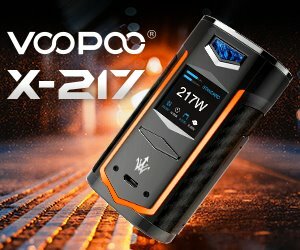 The S8 currently only comes in glossy black, and Smoant haven’t announced whether other color variants and paint styles will be available in the future. 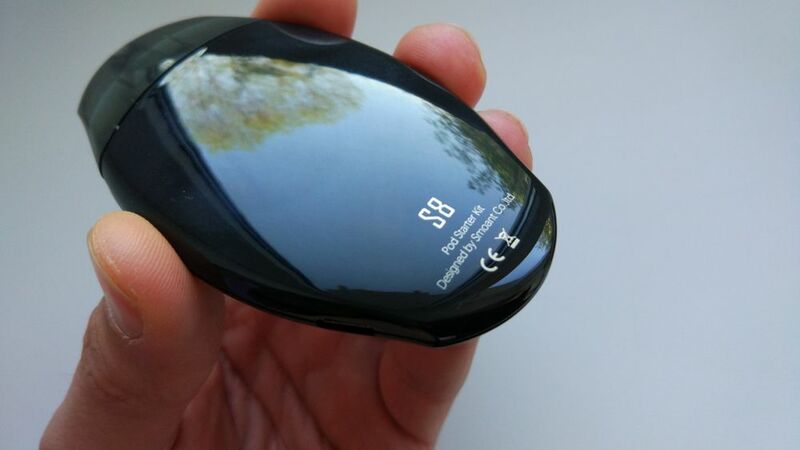 It’s a fingerprint magnet, but the glossy finish fits the slick, elegant look of the device. Like most other pod systems, the Smoant S8 doesn’t feature any physical buttons, relying instead on a draw-activated switch to activate the battery. 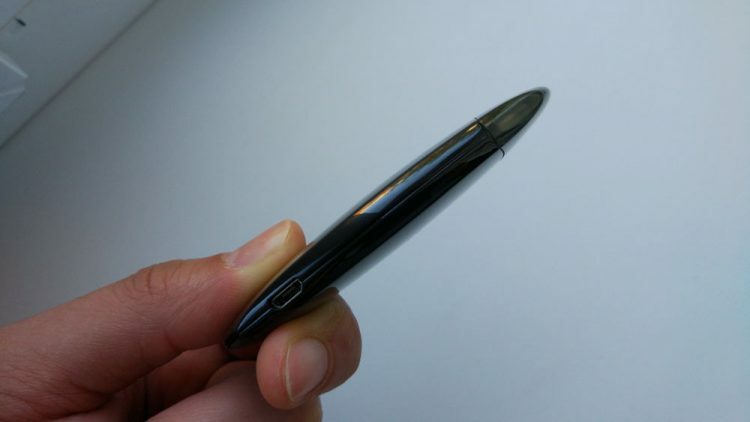 Instead of having to push a button, all you have to do is draw on the mouthpiece and the built-in battery will start to heat up the coil in the replaceable pod. The absence of physical buttons gives the S8 its clean and streamlined look. 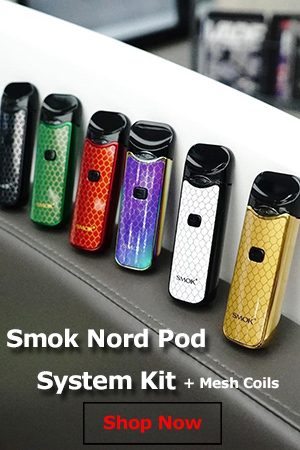 The only notable elements are the golden Smoant logo right in the middle of the device, the “Designed by Smoant” on the back, and the inconspicuous micro-USB port on the side of the vaporizer. 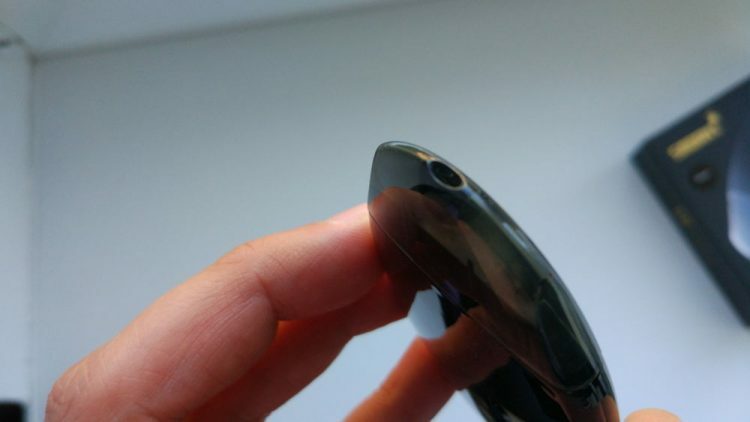 When you take out the plastic pod for the first time, you notice that the “inner workings” of the S8 are not much different than those of Surorin Air or other similar vaping systems. 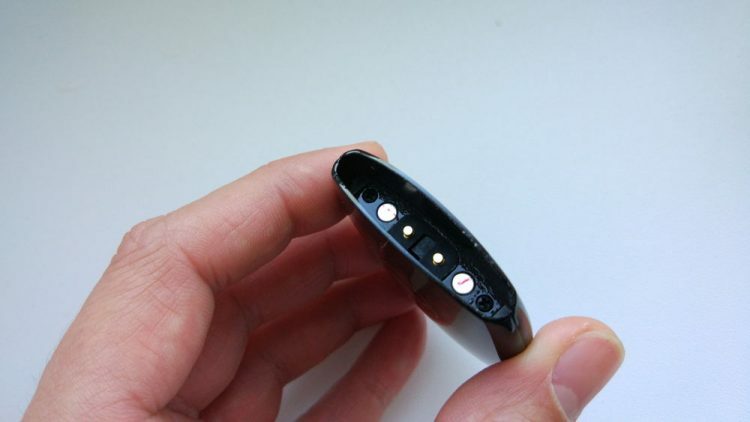 You have two round magnets that keep the pod from falling off, two metal connectors, and a small slot in the middle, which conceals the draw-activated sensor. You will also notice two flashing lights every time you take off the pod. This serves several purposes, which we’ll go though later. The plastic pods are also very similar to those of the Suorin Air. The mouthpiece, the juice reservoir, as well as the coil and cotton wicking are all built into the same unit, which connects to the S8 vaporizer via magnets. The air hole on the mouthpiece is very tight, as is the orifice on the back of the pod – through which air comes through – so you should expect a tight, cigarette-like draw. There’s no way to adjust this, so if you’re looking for something airier, maybe consider another pod system. On the back of the pods, we have the same magnets and magnetic connectors as on the S8 battery, only instead of those LED lights on the sides, we have a rubber cap that can be lifted to reveal the fill port. The pods need to be filled before they can be used, so make sure you also get some e-liquid, if this is your first vaping device. 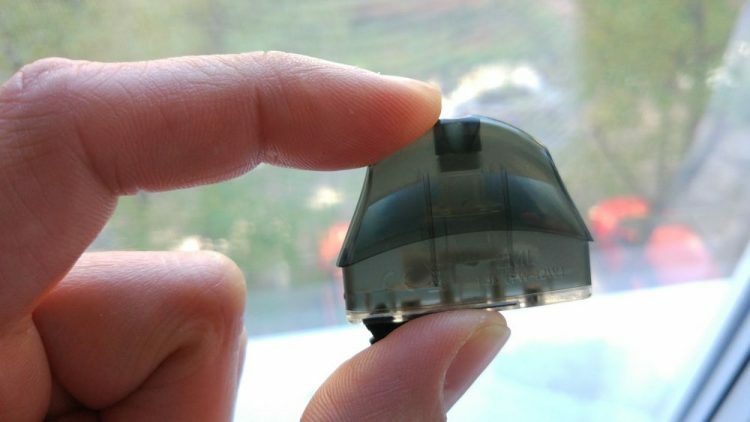 To fill the pod, just pull back the rubber cap, insert the needle of your juice bottle into the reservoir while making sure that you leave some room for the air inside to escape. Once it’s full, pop the cap back in, hook the pod to the battery, and wait a few minutes before vaping, to make sure that the cotton wicking is nice and saturated. The Smoant S8 pod system features a built-in 370 mAh battery, which probably sounds abysmal when you consider that most single battery advanced mods have at least 2,000 mAh battery life. But comparing pod systems to mods just isn’t fair. They are two very different vaping devices aimed at different categories of vapers. Pod systems are primarily designed to suit the needs of fresh ex-smokers in search of a smoke-free alternative. They don’t need lots of battery power to do that. 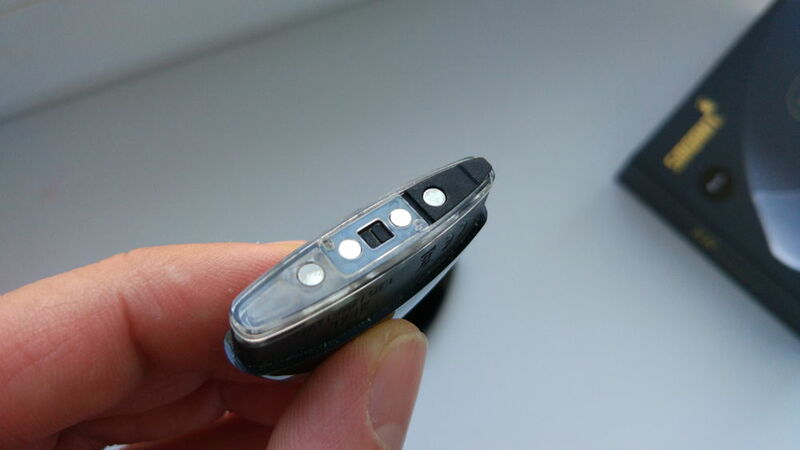 For example, the coils inside the S8 pods have a resistance of 1.3 ohms, which coupled with the 3.3V – 3.4V output of the vaporizer, generates between 7W and 12W of power. 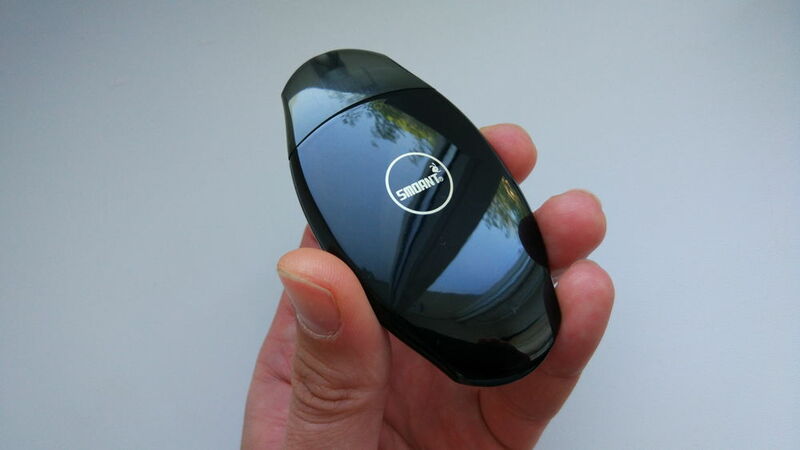 Most advanced mods can generate over 200W, so they require large batteries, but pod systems don’t. They generate very little power, so 370 mAh can realistically last a user a whole day without needing to recharge. To know just how much battery life you have left, all you have to do is keep an eye on those LED lights I mentioned earlier. When battery life is over 30%, they will light up blue every time you draw on the S8. When battery life drops under 30%, the lights will turn red, signalling the need to recharge. While charging, when battery life is under 70%, the lights will blink red, and when it surpasses 70%, they will blink blue. Once the battery is fully charged, the blue light will stay on permanently. Here’s the thing about these light indicators, though. Because the pods are made out of a tinted plastic, and the LEDs are lighting up underneath the pod, it’s kind of hard to spot the. It’s no big deal, but they could have definitely come up with a better system. 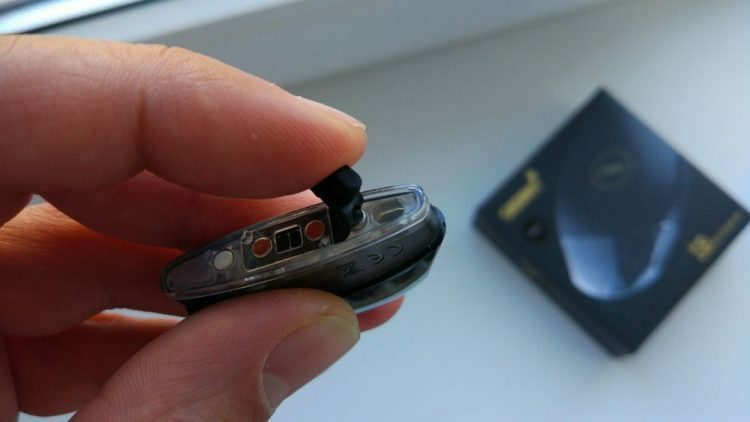 The S8 pod system also has some built-in safety features. 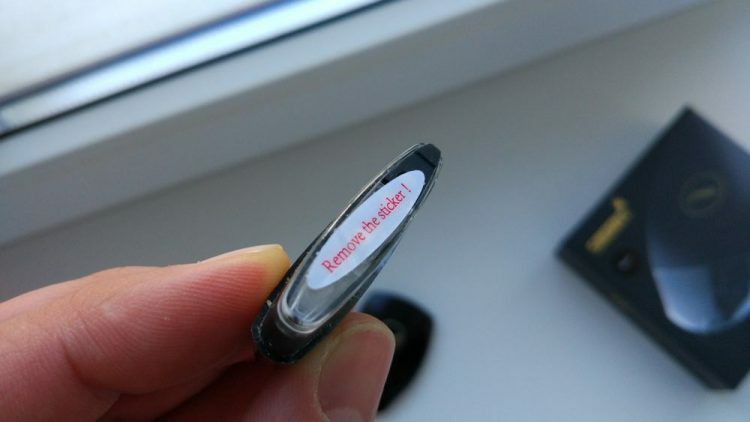 If the device detects a short-circuit, or if the pod doesn’t connects to the battery properly, the LED lights will flash red 5 times. I’ve been using the S8 for a month now, and I’ve had no such issues, but it’s nice to know it has some protection in place. The S8 supports vaping while charging, so you can theoretically use it as a passthrough, but that micro-USB cable is so short you won’t be able to bring the device to your mouth without unplugging from whatever powers source you’re using. In terms of vaping performance, the Smoant S8 is actually quite impressive for its size. What really makes it unique in my book is that it’s the first regulated pod system I’ve ever tried. Most other similar devices draw power straight from the battery, so as the voltage of the battery gradually drops, so does the power output. That means you’re not getting the same vaping experience all the time, but the S8 is different. According to the included user manual, the Smoant S8 operates in the 3.3.V – 3.4V range at all times, so regardless of how much battery life you have left, you’ll still enjoy the same vaping experience every time you draw on it. That’s a huge deal in my book, and I hope other manufacturers follow suit with their future pod systems. Smoant recommends using the S8 pod system with 70VG/30VG e-liquid, but warns that more than 40% PG content could make the juice too fluid and cause leaking. That hasn’t happened to me though. I used some of that 50VG/50PG juice from Vape Superstore, and the pod was as dry as a bone. So definitely try to follow the manufacturer’s recommendations, but know that PG-heavy e-liquids should work fine too. Vapor production is very good for this style of vaping device. You won’t win any cloud-chasing competition with the S8, but it puts out more vapor than most cigalikes as well as other pod systems, like the JUUL. Flavor is ok too; I can’t say I’ve been blown away by how nice some juices taste, but it’s above average and enough to keep people from going back to smoking. The draw is a lot tighter than I’m used to – I prefer direct lung vaping – but if you’re just coming off cigarettes, it should feel very familiar. Smoant have done a great job emulating the smoking experience. Another thing I like about the S8 pod system is how stealthy it is. Not only does it comfortably fit in the tiniest of adult hands, but it barely makes any noise when you use it. You can barely hear the coil sizzling inside the plastic pod, and it makes no whistling sound when you draw. The Smoant S8 is definitely one of the better pod systems I’ve reviewed. 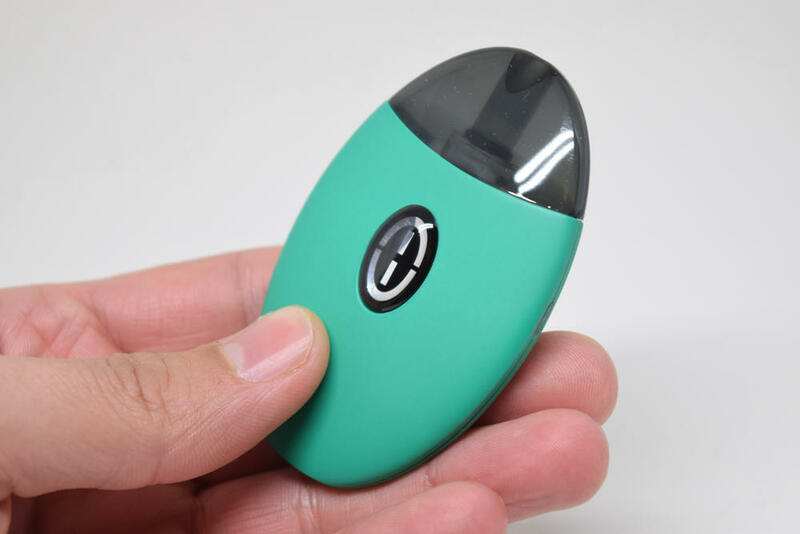 I can see it giving devices like the Atopack Penguin a run for their money, and even dethrone the Suorin Air as the king of the slick pod systems. I love the design of it, the fact that it fires at a steady voltage range regardless of battery life, and the tight draw is reminiscent of cigarette smoking, making it a great choice for fresh ex-smokers. It’s not something I’d use all day, every day, but only because I’m long past my smoking days. However, for casual vapers and someone looking to switch from tobacco cigarettes, it’s a great option. Poor, bought device last Thursday. Had 2 smokes since charging yesterday. Battery flat already. Going to see if I can get a refund on this rubbish. It is not worth the purchase. Short cables have low resistance; but any micro usb will do… Add the common practice of carrying power banks for phones and you removed both the negative points!